Breathe in the tranquility of remote island life as you sail through some of Indonesia’s most secluded waters. 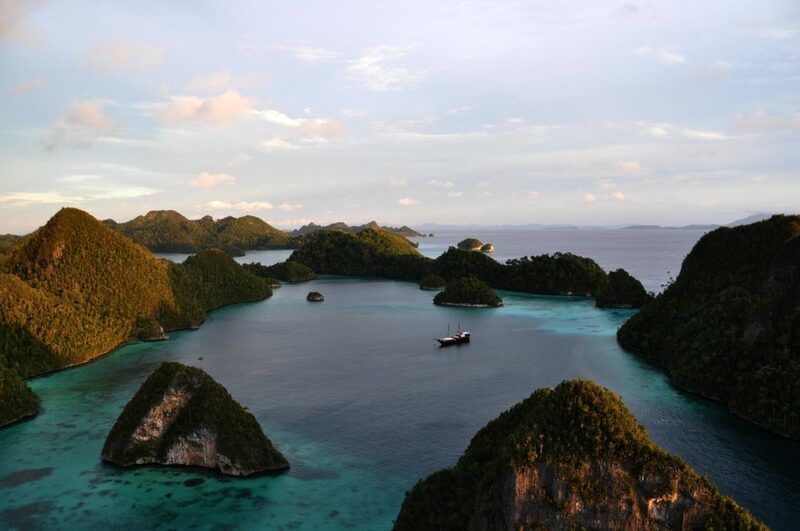 Navigate new horizons with Samata on tailored voyages to Raja Ampat & Komodo Island, Indonesia. Begin your expedition on a luxury 5 star cruise today. Tailored routes to the remote corners of Indonesia ensure your Private Charter voyage aboard Samata truly is one of a kind. Whether you’re after adventure or relaxation, we invite you to customise your luxury escape with onboard experiences, activities and destinations to meet all your needs. Located off the coast of West Papua, Raja Amapt is a collection of 1,500 pristine islands. A true diver’s paradise, this area contains the highest marine diversity in the world. The area is relatively undisturbed by humans and remains extremely remote, offering stunning, uninhabited beaches and idyllic islands to explore at leisure. To the east of Bali & Lombok is Komodo, an island with a fantastic diversity of activities to awaken the adventurous spirit. 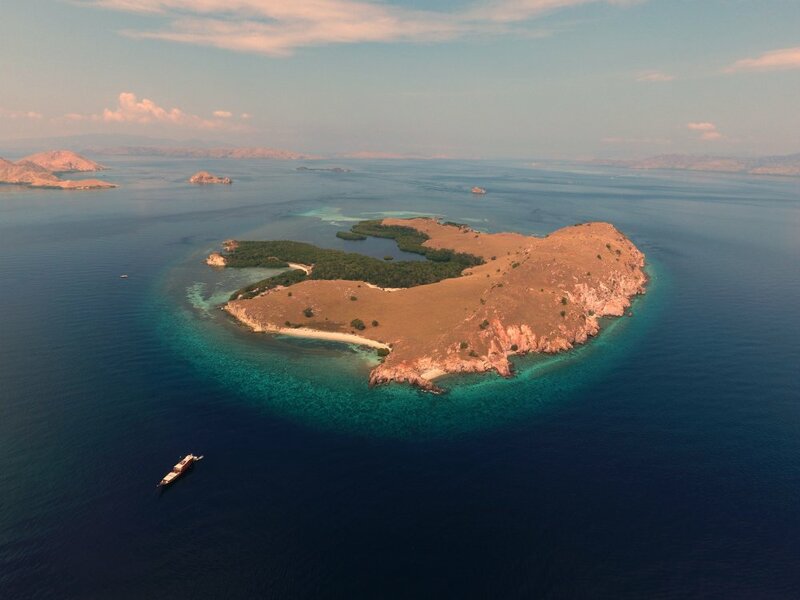 Whether it’s climbing to the summit of volcanoes, trekking up to beautiful waterfalls, visiting rural villages, or enjoying world-class scuba diving, Komodo offers something for everyone. The UNESCO World Heritage island is also home to the giant, carnivorous lizard known as the Komodo Dragon. From the park headquarters guides can lead you along the many hiking trails to safely spot the dragon as well as much more of Indonesia’s unique local wildlife. Also known as the Spice Islands, The Banda Islands are a group of ten small volcanic islands in the remote Banda Sea east of Java. These islands are most famed for their rich and remarkable colonial history as the centre of trade for nutmeg and mace. The Bandas offer stunning tropical scenery, Dutch colonial houses, crumbling forts, and some of the world’s most pristine and diverse coral reefs. With over 17,500 islands on the Indonesian archipelago, Samata offers the perfect way to explore in style. Whether you have a destination in mind or simply a penchant for adventure, our experienced team can help tailor your perfect voyage. The possibilities are limitless. There’s so much to see and do in remote Indonesia, and Samata is the perfect way to experience it all. Samata offers a host of onboard activities and watersports including kayaking, wakeboarding, tubing, diving, snorkelling, fishing and much more. Samata is fully equipped to cater to divers of all levels, from beginner to experienced. World-class dive instructors offer certification on board and will design dives to suit your needs. Spanning the equator and boasting some 17,500 islands, stunning volcanic geography, fascinating cultures, awe-inspiring natural diversity above and below water. 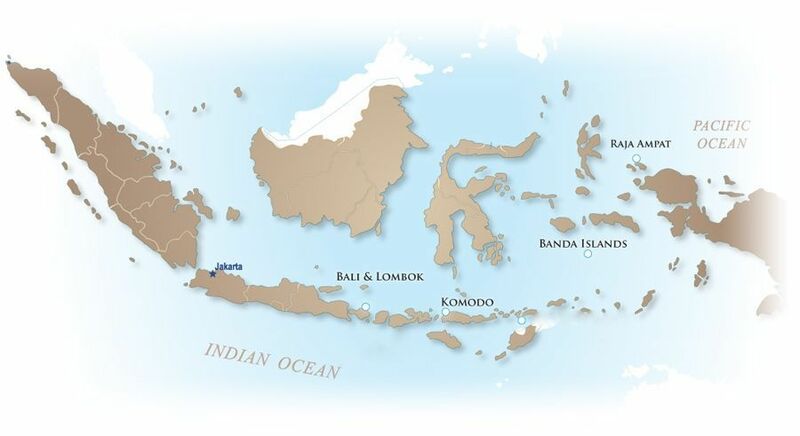 With more than its fair share of remote and unexplored lands, Indonesia is like no other destination in the world. Samata is ranked by Asia Pacific Boating Magazine as one of Asia’s best 50 Superyachts.